I saw almost as many pumpkins this year as I did in the past two years combined! This year, during October I saw 22,818 pumpkins during my walks. Lonely for more pumpkins? Check out the Pumpkin Walk books. 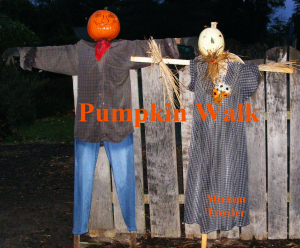 This entry was posted in Book, pumpkins and tagged book, pumpkin, walk. Bookmark the permalink.